Awesome job to everyone who helped set this event up, and to all the members and mentors who attended! 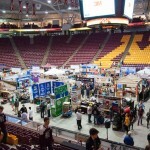 It was so exciting to be able to compete with the teams from Minnesota, Wisconsin, and Iowa! On Wednesday, we drove up to the house we were staying at and checked in the robot. Thursday we set up the pit, put the robot together with its new arm, and pit scouted the other teams. We were also able to do a couple practice matches, and the team went to Annie’s parlor for a team dinner! 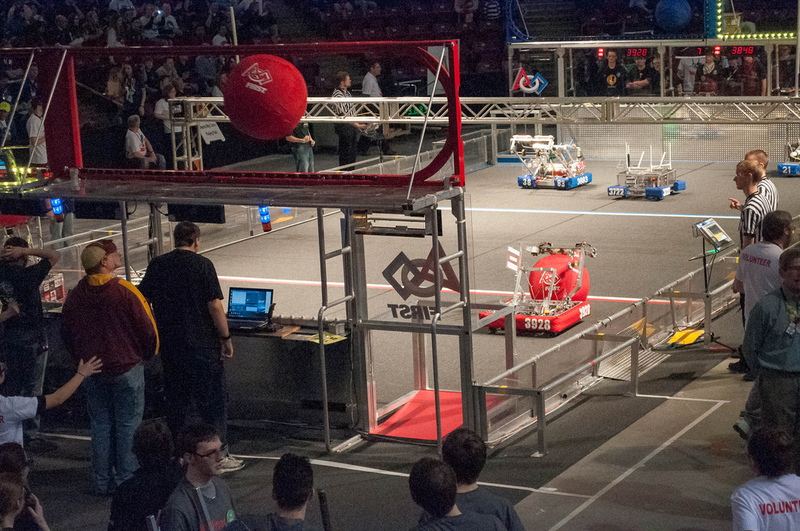 On Friday, we competed in eight qualification matches, seven of which we won. This placed us as the fourth highest ranked team, and first for OPR! We were thankful to be able to scout with team 2175 so we could get information about each team. 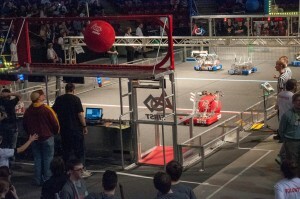 You can find the results here for the event: http://www.thebluealliance.com/team/3928. 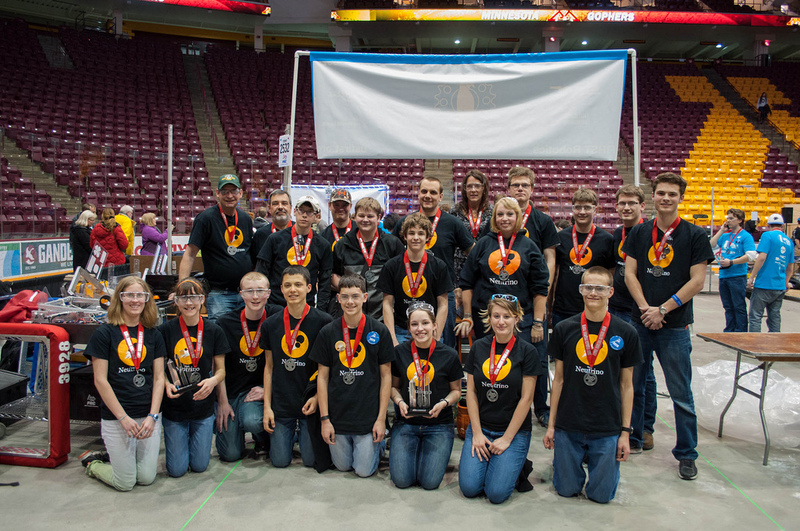 Team Neutrino was the recipient of the MN North Star Engineering Inspiration award! This award means that NASA will pay for our registration so that we can attend champs along with over 400 other teams. Good luck to all who are going! Thanks to all who stayed updated on Twitter and the Blue Alliance. We will get more information to you later so you can stay updated during Champs! This entry was posted in Aerial Assist, Competitions 2014 by Dagney. Bookmark the permalink.